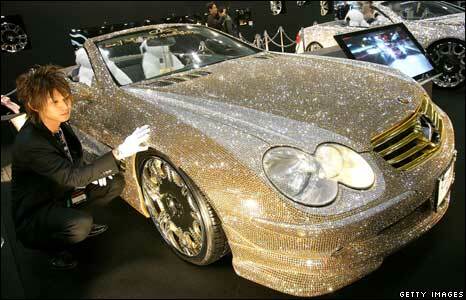 A Mercedes-Benz SL600 encrusted with 300,000 Swarovski crystals at the Tokyo Salon auto show. This is just so wrong. Damn crystals are showing up everywhere.